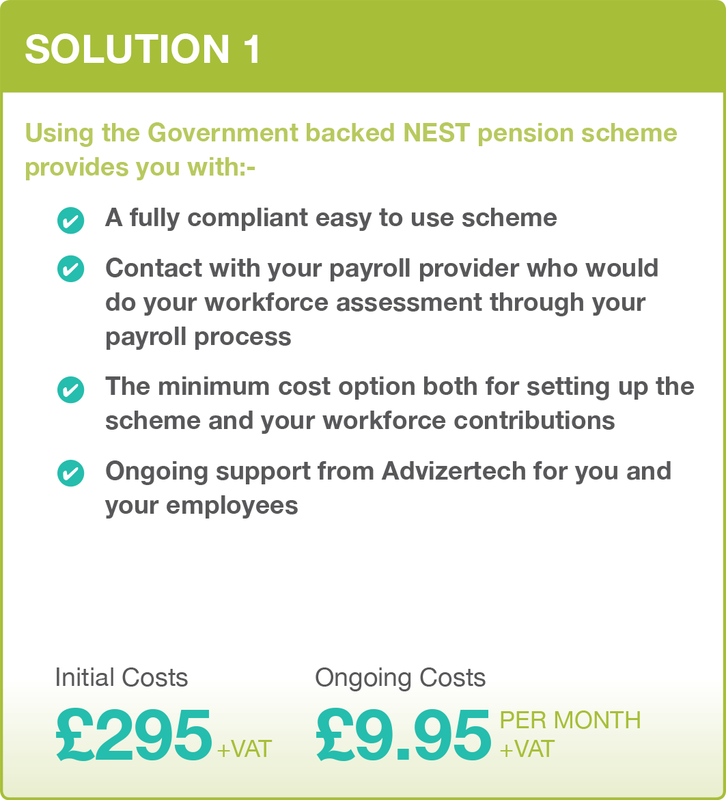 Setting up a workplace pension scheme is complex, time consuming, deadline driven and if you do not comply in time, there can be heavy fines. Choosing the wrong scheme could cost you financially and consume valuable time. We are a firm of professional financial advisers who have many years experience of setting up both Personal and Group pension schemes. 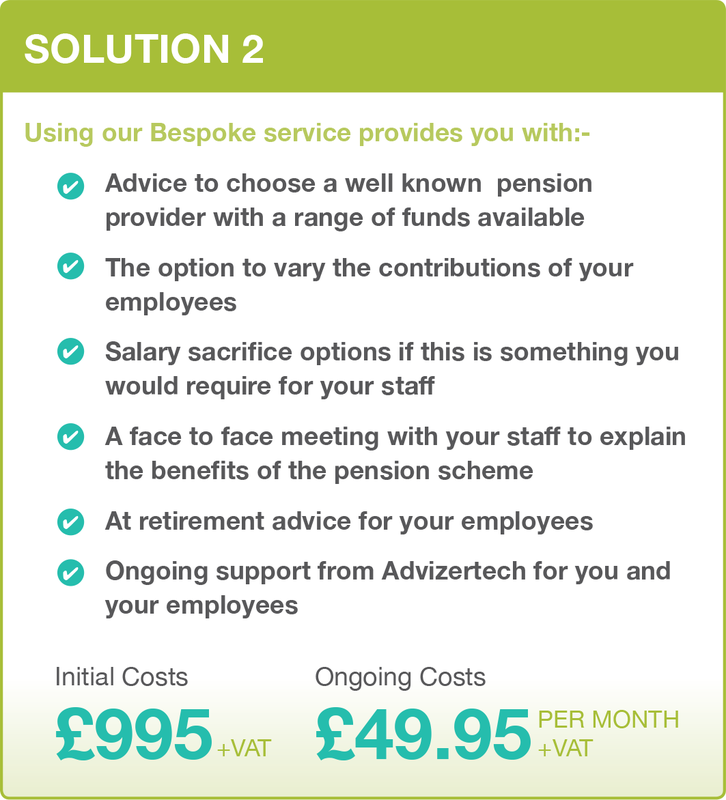 We have developed two cost effective solutions to setting up your workplace pension.